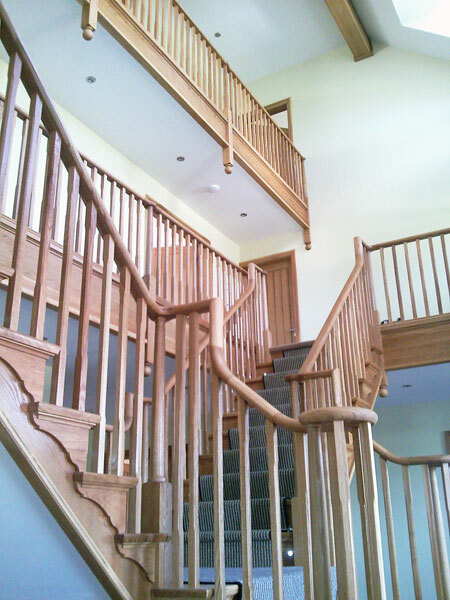 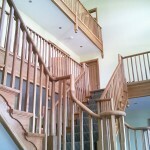 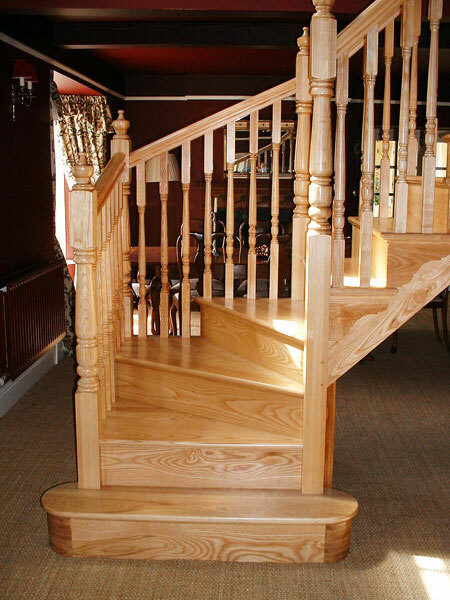 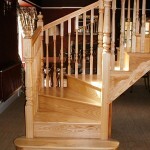 Cut string staircases are invariably the most attractive staircase designed and when coupled with good quality timber the finished results are outstanding. 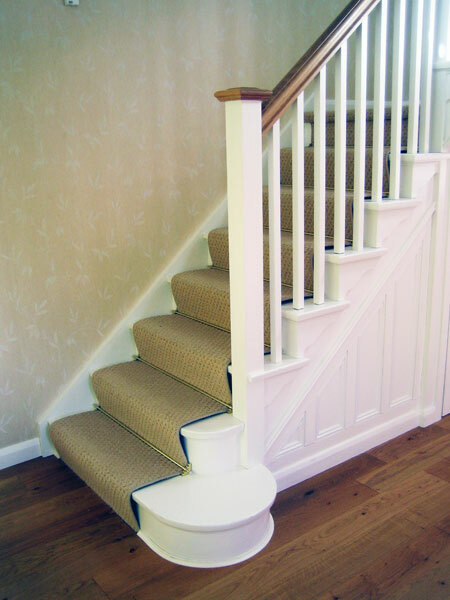 This type of stair shows the tread nosing on the side elevation over the string and beneath this nosing there can be a decorative bracket, or the string can be mitred to the riser. 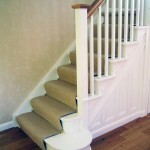 With spindles usually two per tread, the pattern length is designed to suit the position on the tread.